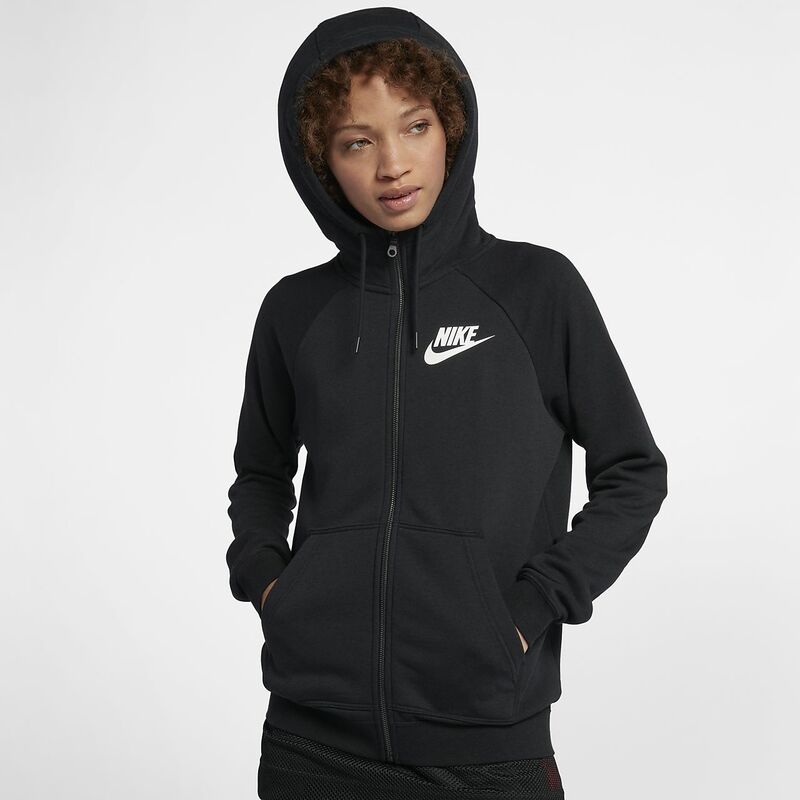 The Nike Sportswear Rally Women's Full-Zip Hoodie has a classic silhouette that falls at the hips for everyday comfort. Made from soft fleece fabric, it's ideal to wear in any season. The Nike Sportswear Rally Women&apos;s Full-Zip Hoodie has a classic silhouette that falls at the hips for everyday comfort. Made from soft fleece fabric, it&apos;s ideal to wear in any season. Fabric: Body: 58% cotton/25% rayon/17% polyester. Hood lining: 100% cotton. Have your say. Be the first to review the Nike Sportswear Rally.